John Glenn's passing on Thursday means that the first seven American astronauts chosen to lead the fledgling US space program in 1959 are now dead, ending a groundbreaking chapter in American history. 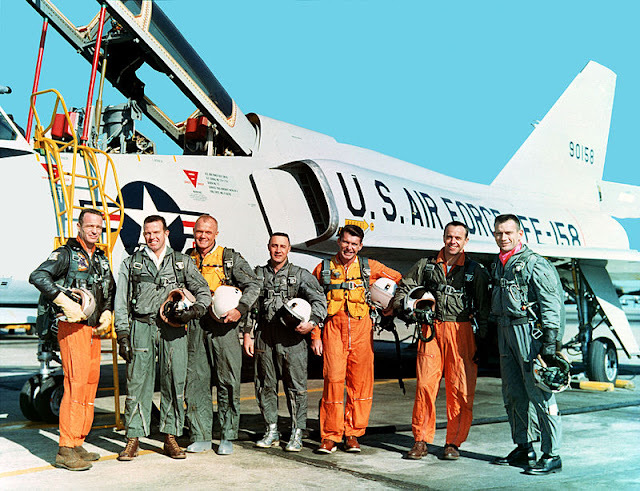 This crew of military aviators, known as the Original Seven, or "Mercury 7," proved that spaceflight was possible, and paved the way for the pioneering US trips to the moon. 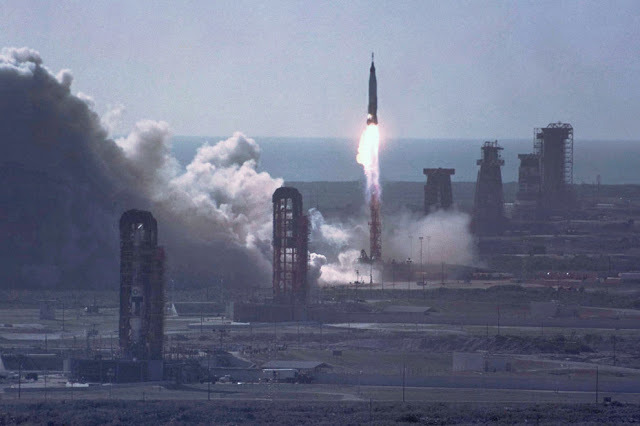 The first American to journey into space, Shepard launched on May 5, 1961, aboard the Freedom 7 spacecraft. His flight was suborbital, rising to an altitude of 116 statute miles (186 kilometers) before landing back on Earth. He later commanded the Apollo 14 in 1971—the third lunar landing—and became the fifth person to walk on the Moon. Shepard died in 1998 at the age of 74 from leukemia. The first American to orbit the Earth, Glenn is best known for making his three tours around the planet on February 20, 1962. He was also elected US senator in Ohio and served as a lawmaker from 1974 to 1999. In 1998, at the age of 77, Glenn became the oldest person to fly in space when he journeyed aboard the space shuttle Discovery. Glenn died Thursday at the age of 95. He had been in declining health since undergoing heart valve surgery in 2014. Grissom was the first person to be launched into space twice. He flew on the second suborbital Mercury flight in 1961, and in 1965 piloted the first Gemini mission, which was also the first spaceflight to change its orbital plane. He and two others were killed in 1967 in a fire during a launch pad test ahead of the planned Apollo 1 mission, which he was slated to command. Carpenter radioed the now famous phrase, "Godspeed, John Glenn" as his colleague was about to embark on the first US orbital flight in 1962. Later that year, Carpenter became the second American to orbit the Earth. After circling the Earth three times in the Aurora 7 capsule, he overshot his landing target by about 250 miles (400 kilometers). Carpenter took a leave of absence from NASA and served as an aquanaut in the Navy's Man-in-the-Sea program in 1965. He died in 2013 at the age of 88 after suffering a stroke. In 1963, Cooper flew on the final Mercury mission and became the last US astronaut to fly alone in space. His Faith 7 capsule circled the Earth 22 times and the mission lasted more than a day. His second trip to space—aboard Gemini 5 in 1965—lasted eight days and set a new space endurance record for that era. Cooper was said to be the first American to sleep in space. He reported having no dreams during his orbital slumber. He died in 2004 of heart failure at the age of 77. Schirra became the first man to fly aboard all three of the United States' first three human space projects—the Mercury, Gemini and Apollo missions. He was command pilot on Gemini 6 in 1965 when he led the first spacecraft rendezvous by flying within one foot of the already orbiting Gemini 7. He also commanded the first piloted Apollo mission, Apollo 7, in 1968. Schirra died of a heart attack while being treated for abdominal cancer in 2007 at the age of 84. Slayton was chosen to be part of the original Mercury missions but was unable to fly in 1962 because of an erratic heart rate. He became NASA's director of Flight Crew Operations, and was eventually cleared for spaceflight a decade later. In 1975, he flew aboard the first joint American-Soviet space mission, Apollo-Soyuz Test Project, which marked the first docking of an American and Russian spacecraft in space. Slayton died of a brain tumor in 1993, at the age of 69.